Controlling the work is critical to the success or failure of any project. 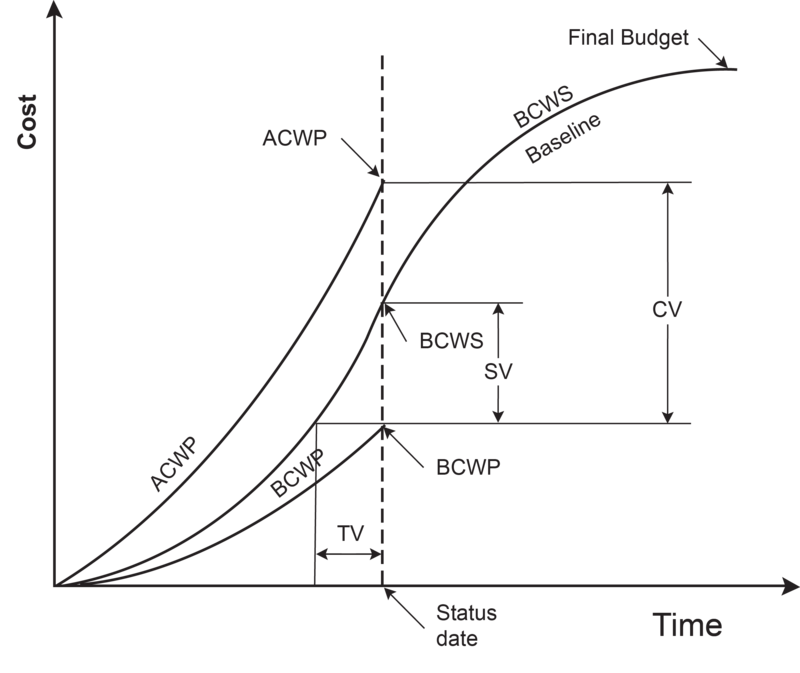 Earned Value Management (EVM) is a well-known technique to control the time and cost performance of a project and to predict or forecast the final project duration and cost. Forecasting the final cost and duration allows you to take corrective actions as the works progresses. Our forecasting methods are is based on the actual time already spent on the work done to date. “We need to maintain our attention on schedule delivery. Data tells us that since July 2003, real cost increase in projects accounted for less than 3 percent of the total cost growth. This quote from Dr. Gumley should grab your attention. Because nearly everyone associated with the execution of a project knows that it is true! Tracka provides you with a variety of options for pre-loading your project data. Users can either import MS Project baseline data or manually enter planning and resources data into Tracka at the commencement of a project. Field crews can use either the mobile application or desktop interface to create log-files that contain real, on-site data coming straight from the project. These log-files allow for project managers to forecast against the planned baseline data. All of Tracka’s reports are automated, which means that you will know exactly where you stand as the first log-file is completed. Earned Value, Planned Value, and Actual Cost are basic elements of earned value management. They can be used to generate basic overview of your project status. Earned Value is the value of the work actually completed to date, Planned Value is the value that you should have earned as per the schedule, and Actual Cost is the amount spent on the project to date. Once you have this information on hand, you can find the current status and compare it with the planned progress. Planned Value (PV) The approved budget for the work scheduled to be completed by a specified date; also referred to as the budgeted cost of work scheduled (BCWS). The total PV of a task is equal to the task’s budget at completion (BAC) — the total amount budgeted for the task. Actual Cost (AC) The costs actually incurred for the work completed by the specified date; also referred to as the actual cost of work performed (ACWP). Earned Value (EV) The approved budget for the work actually completed by the specified date; also referred to as the budgeted cost of work performed (BCWP). Schedule variance (SV) The difference between the amounts budgeted for the work you actually did and for the work you planned to do. The SV shows whether and by how much your work is ahead of or behind your approved schedule. Cost variance (CV) The difference between the amount budgeted and the amount actually spent for the work performed. The CV shows whether and by how much you’re under or over your approved budget. Schedule performance index (SPI) The ratio of the approved budget for the work performed to the approved budget for the work planned. The SPI reflects the relative amount the project is ahead of or behind schedule, sometimes referred to as the project’s schedule efficiency. You can use the SPI to date to project the schedule performance for the remainder of the task. Cost performance index (CPI): The ratio of the approved budget for work performed to what you actually spent for the work. The CPI reflects the relative value of work done compared to the amount paid for it, sometimes referred to as the project’s cost efficiency. You can use the CPI to date to project the cost performance for the remainder of the task. Estimate at completion is the forecast cost of the project, as the project progresses. Estimate to complete (ETC) is a forecast of how much more money will need to be spent to complete the project. PF = Performance Factor PF = 1: Future performance is expected to follow the baseline schedule. PF = SPI or SPI(t): Future performance is expected to follow the current time performance. PF = SCI or SCI(t): Future performance is expected to follow the current time and cost performance. Would you like to understand more about Earned Value and Earned Schedule? Would you like to understand more about the research carried out?